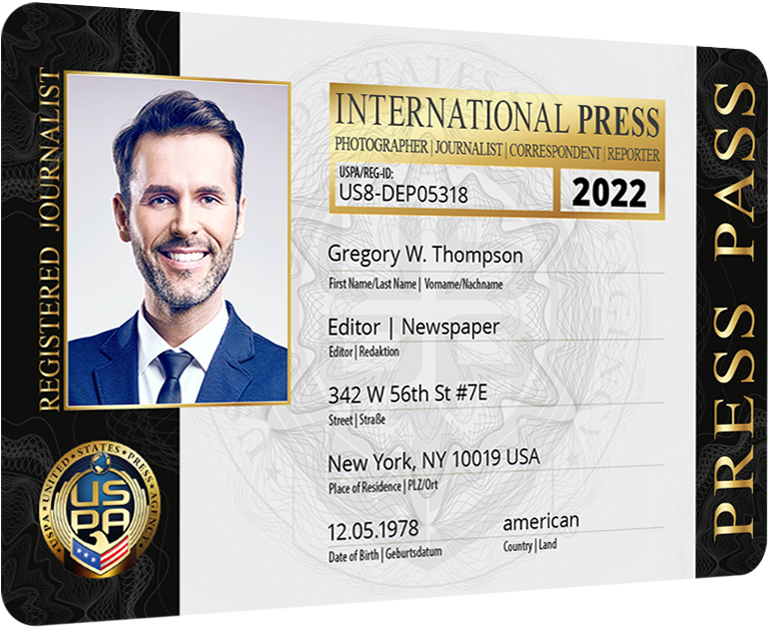 A membership with the United States Press Agency (USPA) provides all full-time and part-time journalists with the advantage of a press pass. As an independent press agency, we don´t just provide accreditation for experienced journalists, we also help newcomers to the journalism or media field expand their own operations upon a professional foundation. As an agent between editorial offices, individual journalists and numerous media, we have been operating with great success for many years. Our members do not have to pay expensive annual dues or provide us with bureaucratic paperwork to document their work or earnings. 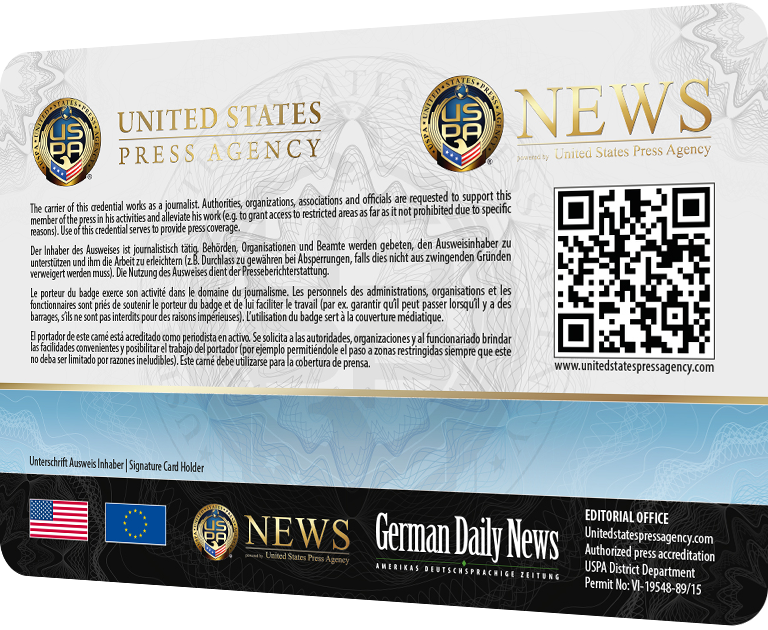 The press pass is issued to anyone who works as a full-time or part-time professional in the journalistic field. It facilitates numerous research activities, e.g. in your local area or at press conferences. We don´t just issue press passes for classically trained journalists but also include related, modern career profiles in our accreditation process. Screenplay authors, camera crews, bloggers, online editorial staffers, PR spokespeople and freelance writers may now enjoy the benefits of a press pass, which ordinarily is reserved for large editorial offices and publishing houses. The credit-card-sized ID card, which is standardized across Germany, is issued each calendar year and valid around the globe. In addition, you will receive a letter of accreditation from the editorial office that is valid for one year, as well as a press sign for your car, at no additional charge. To become a member of USPA, you pay a one-time registration fee of USD 108.00. The annual membership fees of USD 48.00. 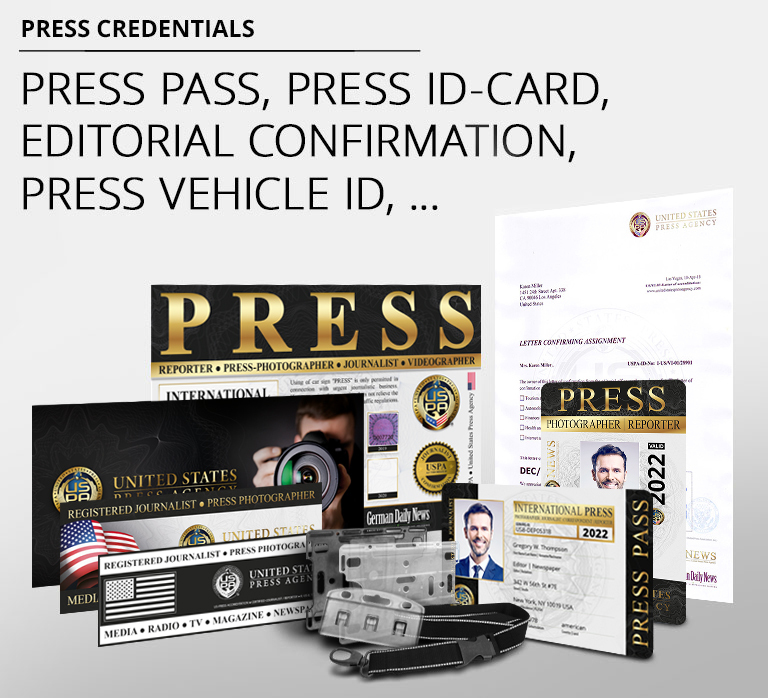 In addition to the press pass and press vehicle ID, this fee includes a registered press ID card, a USPA News voucher in the amount of USD 30.00 , and a personal login on our website. The future of journalism is more diverse than ever, and USPA has committed to it by issuing the most affordable press passes to a multitude of people. As a journalist, you, too, have a right to this document, which will greatly facilitate your every-day work in the field.